A pendulum is a free-swinging mass on a pivot that moves in a predictable way. Its dynamics are easily derived from the system in which it operates. It’s simple. Attach a second pendulum and all rules are off. A double pendulum means chaotic, unpredictable dynamics. Its twists, careens, and spirals are so complex that to define them is to test the descriptive limits of language. The history of psychiatry is colored by dramatic shifts in practice as the “pendulum of thought” swings in opposing directions; i.e. between therapy and medications, institutionalization and community-based care, and neurobiology and psychology. Psychiatry is not a monolithic set of ideas pivoting on a single culture. The second pendulum in psychiatry is the world around us: changes in science, politics, business, and philosophy rock our pendulum’s swing. Chaos adds to its richness, splendor, and ultimately, its unpredictability. Psychiatry moves dynamically on the diversity of ideas, narratives, cultures, and groups that define it. Penndulum is an online magazine created and edited by residents for the purpose of breaking the silence around important but rarely discussed topics. We solicited honest, thought-provoking writing and artwork that reflect the raw emotions, struggles, and internal experiences of caregivers at every level of training. We purposefully target and tackle issues that are pervasive in healthcare and training institutions and are in no way specific to Penn. Our content may be seen as controversial or upsetting to some readers in that it addresses troubling topics and portrays rarely-discussed aspects of doctoring like angst, doubt, anxiety, sadness, and loss of control in an unapologetically honest voice. We are trying to hold up a mirror to ourselves. We know that the reflected image might be shocking or unflattering. The world is not used to seeing doctors this way. Our point is to generate honest discussion about issues that affect all caregivers and to break the culture of silence that we believe contributes to physicians’ disproportionate rates of burnout, depression, and suicide. 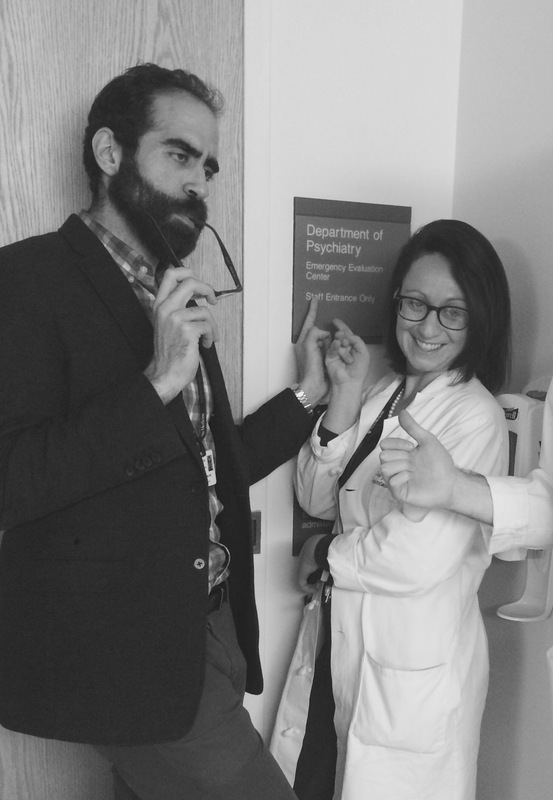 We hope to eventually seek the involvement of physicians and trainees in other specialities to hear their perspectives and struggles, as the issues presented in Penndulum are not specific to psychiatry or to Penn. We are thankful to Penn, and to our program directors, for providing us with a forum of free-expression to discuss these difficult topics, even when our views are controversial and in no way represent those of Penn. The viewpoints are divergent, rich, alluring, sad, amusing, and dazzling. Metamorphosis is the theme of our first issue, and a lens through which we explore the radical transformations of psychiatry and of ourselves. All vignettes are fictional or are amalgamations of many patients to obscure the identities and protect the privacy of our patients, which we take very seriously. Any likenesses are coincidental. We welcome submissions of artwork and writing including op-eds, essays, fiction, poetry as well as responses to this issue. Email Penndulum@gmail.com.